You must make reservations at least 5 minutes in advance of the time at Buddakan - Philadelphia. Valet parking is available at $18 per vehicle after 5:30pm. Parking lot available during lunch on 3rd & 4th between Market & Chestnut Streets. Buddakan is the perfect venue for corporate or social events. Whether you want to take over the entire facility, overlook the action or be in the midst of it, there are many options for groups to experience Philadelphia’s most highly sought after dining destination. 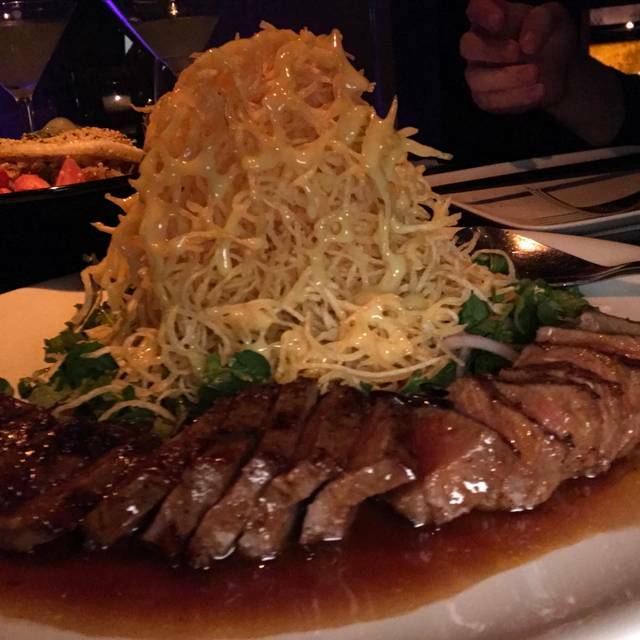 Stephen Starr’s Buddakan is a spectacular restaurant featuring exotic flavors of modern Asian cuisine with creativity and drama. Bon Appetit notes, "The mostly white space is striking, with a lit-from-within communal table in the middle of the room, a waterfall & a ten-foot, candle-bedecked Buddha. 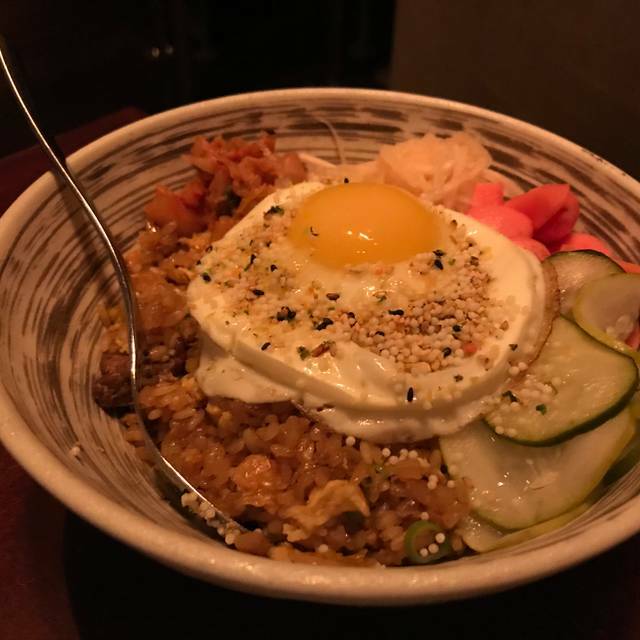 The religious icon watches over hip customers indulging in pan-Asian cuisine that far surpasses the fare usually found at hot spots like this." Newsweek reports, "Design also serves as a signifier for cuisine. 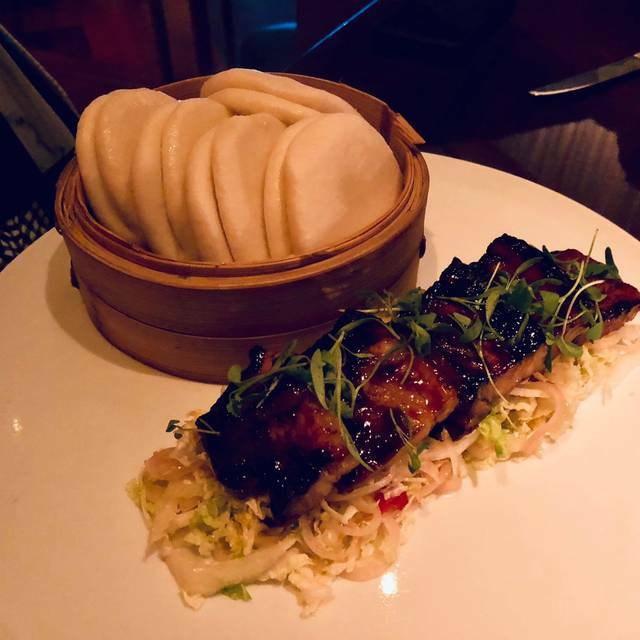 You walk into Buddakan, one of the hottest new restaurants in Philadelphia, past a shimmering waterfall & Japanese river stones & you say to yourself, 'ginger-miso everything' even before you see the magnificent 10-foot Buddha dominating the dining room." Named one of “America's Top 50 Restaurants" by Travel & Leisure and 'Top Restaurant for Fun' by Gourmet, Buddakan has become one of the country's most talked about restaurants. Dinner was amazing! Dim lit and very romantic, it was a perfect venue for my girlfriends birthday. Service was above average but not outstanding. The sparkler in the dessert was very thoughtful but did not last long enough to even get a picture. Other then this, I highly recommend! we were seated right next to the kitchen during a very not busy lunch hour where servers were constantly going back and forth. Our dinner reservation was Sunday night at 8:30. We were 8 people celebrating a birthday. I asked to not have a seat in the center of the room because when full, it is hard to hear. We were accommodated. Drinks and our food came in a timely fashion and as our meal went on, tables began to clear out making it much easier to hear. We ended up being close to the last table out, but never felt pushed to leave which was amazing. Everyone enjoyed their food. Portions were great both as apps and as meals. We go here several times a year and it never fails to please all. Thank you. oh, and the sparkler in my sons donuts celebrated him perfectly. Thanks again. We originally had a poor location for a table, but they were very willing to change our seats after just a 5 minute wait. The waiter at our table was incredibly kind and made sure we had menus which allowed us to eat with our limited diets (vegan + gluten free - they also have a celiac menu) The drinks were smaller for their price- a lot of ice- but they tasted great! Dragon tofu was VERY spicy, so if you do not like spice, ask them to go light on the sauce or see if they can change it out for something else. Would go again! Attended Buddakan for dinner with my best friend for her birthday dinner. Food and drinks were incredible but was very disappointed by the service. We sat for 10-15 minutes after being seated without even being acknowledged. When our server finally came it took long periods for drinks to be served. My friend sat facing the bar and could see her socializing with bar staff for long periods instead of waiting tables. I sat with an empty drink for a long period. After being served our meal by other staff she didn’t check on us till we were nearly finished. I’ve eaten at most of the Steven Starr restaurants and at this Buddakan over a dozen times and never received bad service. I was appalled and very disappointed that the service was nowhere near up to par with my past experiences. Hopefully this review will make my next experience more enjoyable. We were visiting Philadelphia to celebrate our grandson’s 1st birthday. We had dinner on a Friday night. 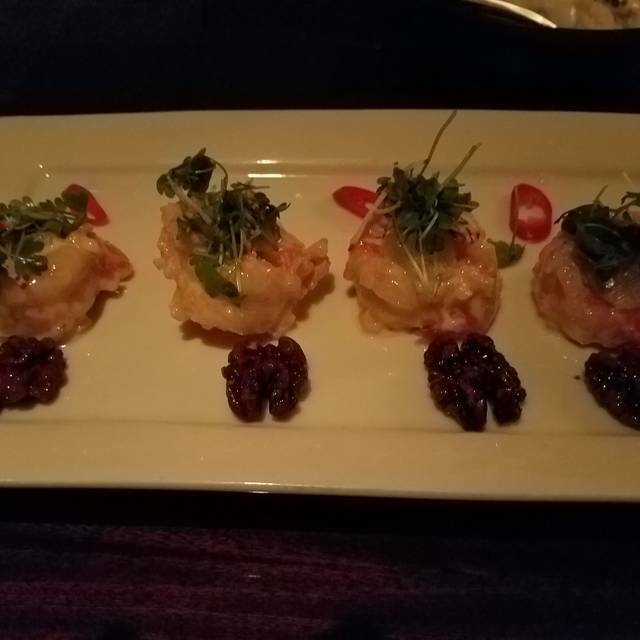 We have been to Buddakan many times before, and this meal was no different than any of our others- over the top great food and service! Amazing food and accommodating staff (for our seemingly constant changes of our numbers). It worked out great! My second time here, food as always is excellent. Service is impeccable. Fabulous! Phenomenal service, excellent service, beautiful ambiance. Next time I am in Philadelphia this is will be on our stop again. Good restaurant. Very good food . Food - Peking duck and pork buns were great. However, the Shrimp Lomein and Lobster Fried Rice can be improved (Not enough flavor, more lobster needed. Ambience- good, however nice level is too high. Tables are too close to each other. Food and overall experience were really traffic. 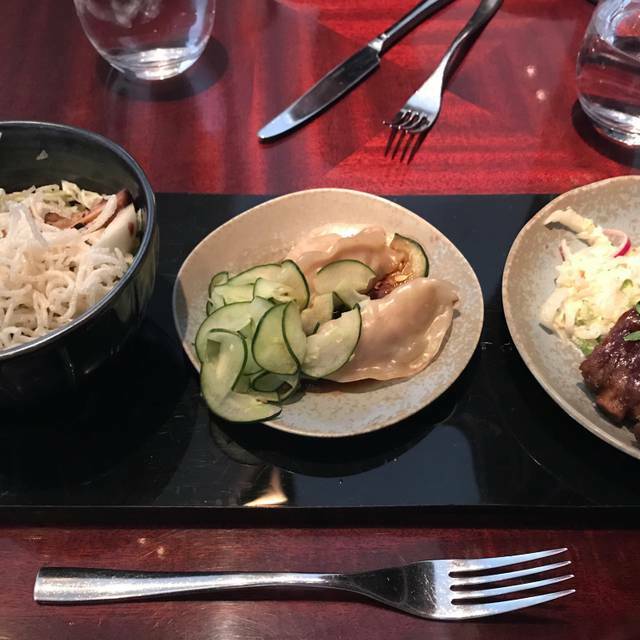 you are guided thru the unique menu with pairing of plate options which maximized our Buddakan experience. Seamless service. Amazing food. Great drinks. Always a great experience. The waitress sometimes took too long coming back to address our needs. The food was delicious and the atmosphere was always pleasant clean with friendly staff to greet you. My daughter enjoyed herself for her very first at this restaurant. As always a great dinner at Buddakan! Great food and atmosphere! Amazing! Pricey but worth every dollar. The filet was sooo amazing. The king crab tempura was also amazing. Loved it! Tofur, edamame, and sea bass were perfect. We got an awesome table upstairs which was quiet. The tartar spring rolls were not good and the waitress failed to take them off the bill even after she asked about the food and we commented on it. The old fashion was also very average. Overall, 5 star experience though and I would definitely go back. Last thing, good bang for your buck. Dark ambience, very romantic and soothing. Service was ok, polite and not overbearing but could have been more attentive for the price. Appetizers of crab leg tempura and pork dumplings were incredible. We hoped that the Peking duck would steal the show but it was greasy yet tough. The Dip Sum donuts definitely helped rebound the meal. Great for an occasional date but not sure we would return until the menu or weather changes. The service and food was absolutely amazing! Would recommend to anyone that loves good food and a good time! 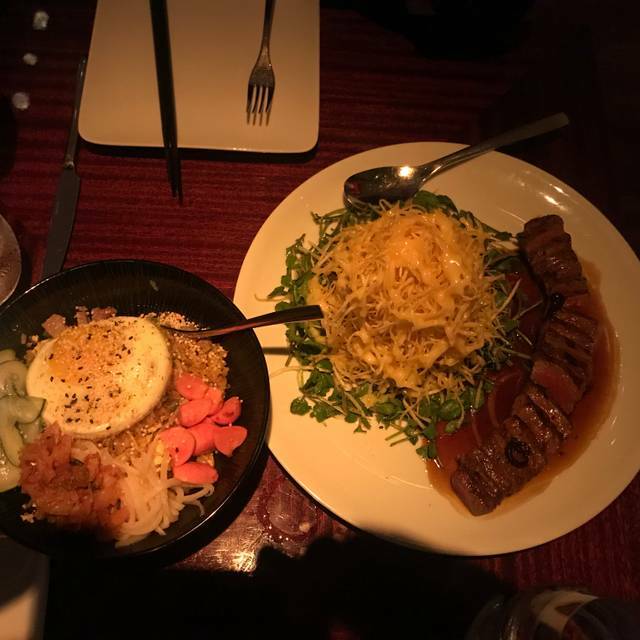 Buddakan is a longtime favorite for our family. It is where we often choose to go to celebrate special occasions. We always get the bao buns, sea bass, crab rice, and doughnuts. They accommodate children by modifying dishes to suit younger tastes. We had a gracious and helpful server in Gabriel this week. Our only complaint wasn’t about him but about the length of time between finishing our appetizers and receiving our entrees. There was a very long wait for the main dishes. Beautiful restaurant and ambiance. The service was terrific. The food was good, but underwhelming given the price. A good place to try. The food is always good but the service was very slow yesterday. One of our colleagues actually had to leave before we were done because it took so long. I have wanted to visit Buddakan for years (was living out of state) and finally got there this week. It was all I hoped for and more, beautiful interior, great service and excellent food. The curried cauliflower was particularly delicious. Will be going back soon. Food, as always, was perfect...service was a bt slow this time...looked like some of the managers were helping out more then usual. I always enjoy eating here. Took people there for the first time and they loved it. Had a family dinner to celebrate my Wife's Birthday and the staff did an outstanding job of accommodating our requests. After 20 years, the food is still outstanding and the calamari salad is the best in the city. Our waiter was excellent! some of the food was good, some was very good, some not so great. overall good experience and great service! Our family went to celebrate my mom's birthday. We've been here before and this is one of my mom's favorite restaurants. The food was outstanding as usual. The service was great too. 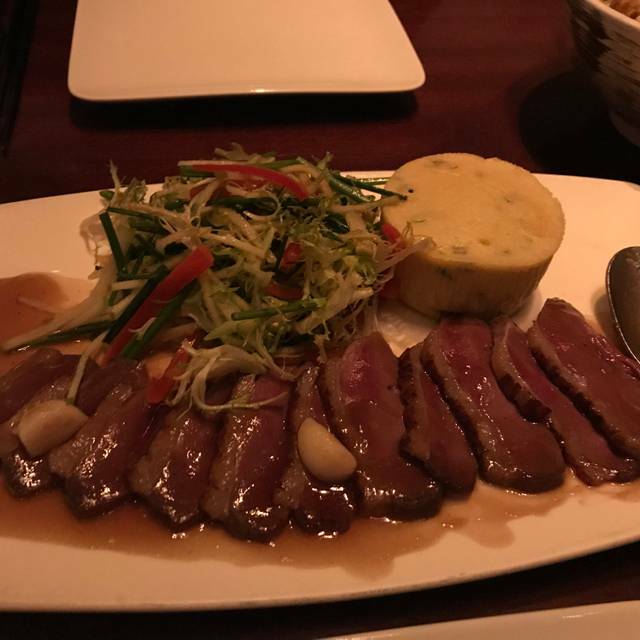 We always enjoy coming to Buddakan and will be back again. It was our first of many dining experiences to come at Buddahan. We love fine dining and have enjoyed countless five star dining experiences. 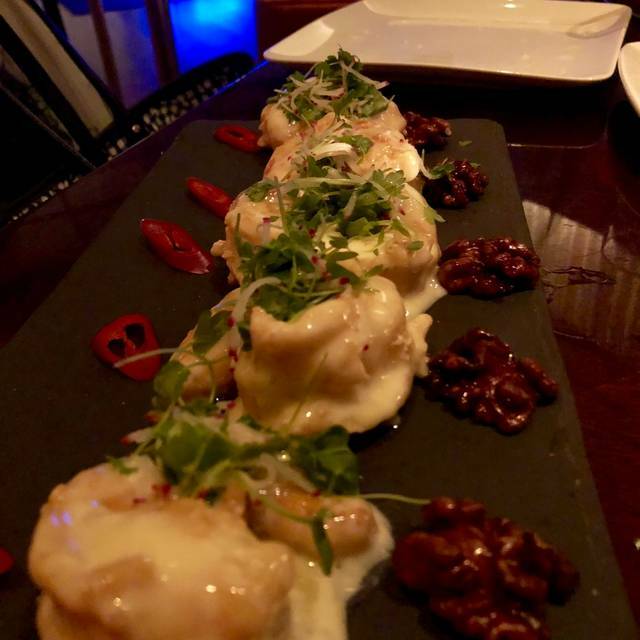 All the others pale in comparison to your exquisite dinner and desert menu. truly. 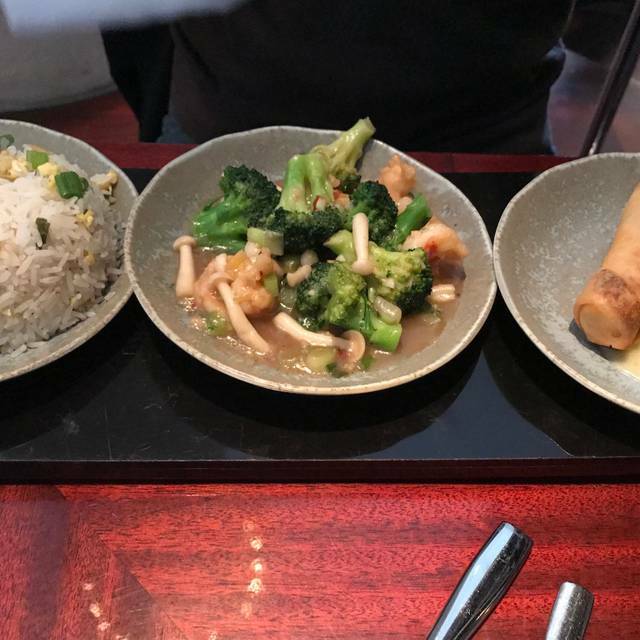 Not only is your menu uniquely diverse, but each dish is complete with deep layers of flavors. Simple yet complex. We’ll be enjoying Buddakhan on a regular basis. Many thanks! I waited 3yrs to return here. And, it was even better than I remembered. On this day, I was the Lucky One! Always a wonderful culinary experience!